Some people presume that a compact pistol is only good for deep concealment, but the truth is you should carry it however you want - and that's what the ShapeShift Ruger LC9s Pro holster is designed to do. 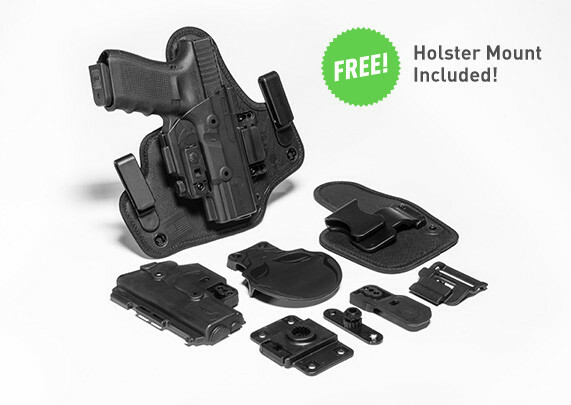 It isn't a holster; it's a modular carry system designed to allow the user to change the holster to carry how they want to, when they want to. The ShapeShift is able to do this through our unique shell design, which was created after more than two years of research and development. 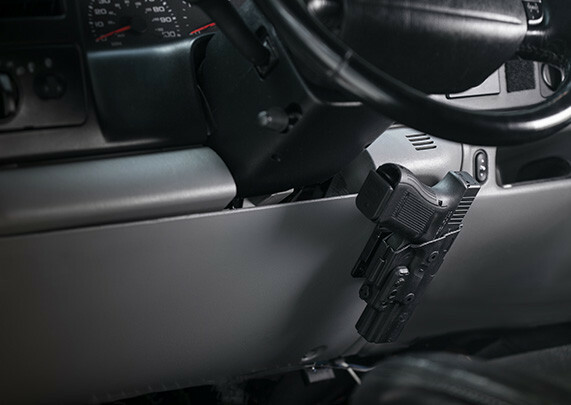 Molded from a nearly unbreakable polymer, the one full Shift Shell and two trigger guards can either lock together for a full-wrap pancake or choose one to dock with the provided backing platforms. Changing between LC9s Pro holster configurations takes only seconds, and when locked in place holds together with our locking rail design. 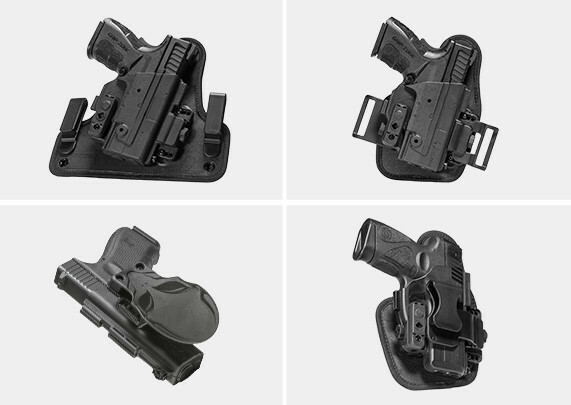 These holsters cannot come apart unless you mean them to. You can also enjoy customizable passive retention with all models, as each can be dialed in to the precise setting you desire. A Ruger LC9s Pro IWB holster can be assembled by attaching a shell to the large backer included in the kit. 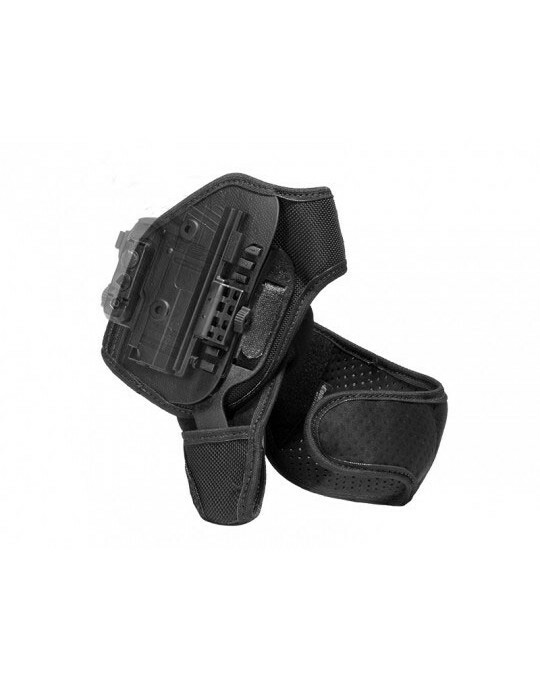 The belt clips are adjustable for ride height and grip cant, so you can set the perfect IWB carry position. The backer is similar to our Cloak Tuck 3.0 holster, with a similar neoprene backpad and spring steel core. For those who prefer appendix carry, attach a shell to the smaller backer and install the appendix carry belt clip for an LC9s Pro AIWB holster. Given the compact dimensions of the Ruger LC9s Pro, OWB concealment is incredibly easy. Attach a holster shell and the belt slide clips to the smaller backer and create a high-riding belt slide LC9s Pro OWB holster. This configuration will conceal easily under an untucked shirt for impossibly easy concealment. 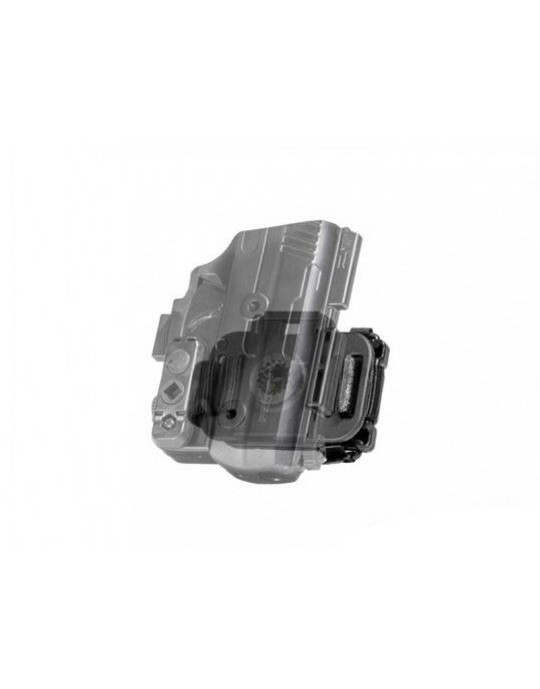 You can also attach both shells to each other and lock them using the included twist locks, for a Ruger LC9s Pro paddle holster more durable and adjustable than any other. The belt attachment is fully adjustable for cant. If desired, you can also install active retention in conjunction with the passive retention device of the ShapeShift, creating a retention holster second to none. Along with these amazing features, the ShapeShift Ruger LC9s Pro comes with Alien Gear's Iron-Clad Guarantee, including a 30-day trial period - during which you can return the holster for a full refund if unsatisfied - and a comprehensive lifetime warranty. So long as you own the holster we will fix any problem you might have, or send you a brand new one. No other holster in the universe has that kind of guarantee.